I have a 1010 wheel tractor with a 710 loader and 92 backhoe. After several interrupted attempts to fix it's trany issues I have finally gotten it sorted out. Now it's on to more maintenance things. My big question has to do with the hydraulic filter for the loader/backhoe unit. It's located in the bottom of the left side loader frame. I have the retainer with the built in bypass but there is no filter. 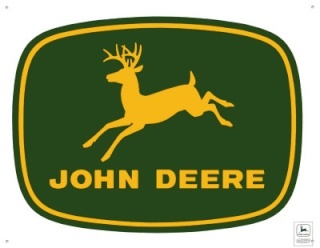 The filter is available from John Deere for a about $100. I was curious if any of the members have checked theirs and what kind of filter is it? Is it a pleated paper element or just a fine screen? I only have the parts manual drawing to go by and that doesn't have any detail. If it was just a real fine screen I could make something. If it is some more then just a screen then I guess I'll have to bite the bullet and buy one. Any in site before I take the $100 plunge would be helpful.